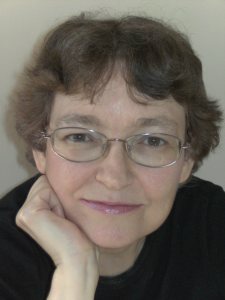 Today we have Janet Edwards, author of Earth Girl, here with us! Yay!! What was your inspiration for Earth Girl? Several ideas came together. Thoughts about people outgrowing current prejudices only to invent new ones. Thoughts about how technology can become an integral part of society, so someone who can’t use it could suddenly be excluded from normal life. Those ideas matured over about a year, at the end of which I had my future world and Jarra started telling me her story. How would you describe Jarra? Human dynamite with a chip on her shoulder a mile wide. At age two, she locked an unpleasant nurse in linen storage, and it’s been downhill ever since. The people around her have very varied opinions about Jarra. She loves history, so her history teacher thought her the perfect student. She hates science, so her science teacher felt she should have been strangled at birth. The Principal of her Next Step was counting the days until she was eighteen and left to become someone else’s problem. Her best friend loves her dearly but admits Jarra can do some really crazy things sometimes. No. I suffer from an over active imagination so I have more than enough imaginary people strolling round in my head. Is there a particular character in Earth Girl who is close to your heart? And why? All of them really. The story is told from Jarra’s viewpoint, so it obviously can’t include other people’s thoughts or so much detail on their lives. I know all the characters though, including their histories and their viewpoints on events in Earth Girl. Playdon is especially interesting. 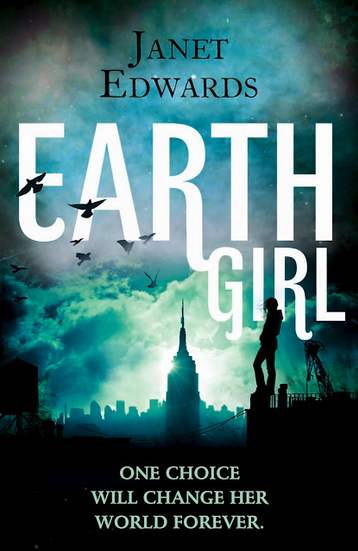 Is there any chance of Earth Girl being turned into a film? Not yet, but I’d love that to happen. I’d want a special clause in the contract to say they must have the same actor playing Fian and Arrack San Domex. A bit of makeup to make him look older for Arrack San Domex of course. Do you have a book crush? It can be from any book! I have a soft spot for Damon Salvatore. I wouldn’t actually want to date him, but . . . Oh, did you mean a favourite book? Lots and lots of those, at different times and for different moods. Oldies like Dragonflight (who wouldn’t like their own dragon?) More recent ones like the Hunger Games (though I wouldn’t want to trade places with Katniss). Even the old classic Pride and Prejudice. Earth Girl is part of a trilogy so I’m currently hard at work on books two and three. Jarra’s adventures are only just beginning in book 1. Nooooo! Sorry, that’s my reflex response to the sight, smell, or mention of brussel sprouts. I’m not entirely sure why. Possibly I was attacked by a savage brussel sprout as a child. Thank you for answering our questions Janet, is there anything else you'd like to add? I’d just like to thank you for doing the interview.